We are delighted to announce that our 2016 Garden Party will take place at Bank Close House on Saturday 23rd July. 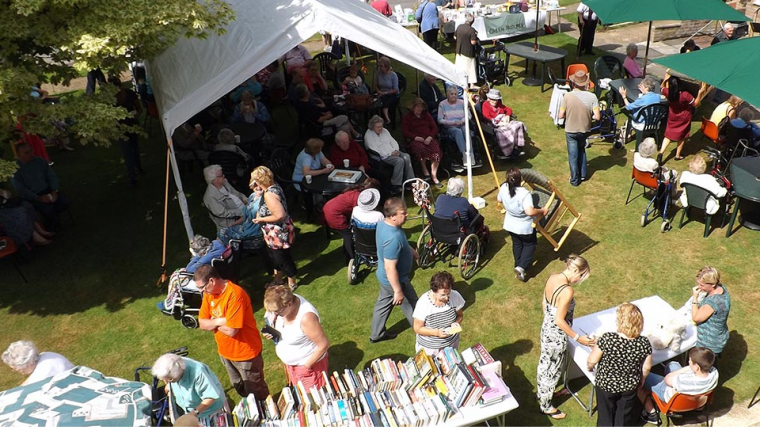 Last years garden party was of great success, we raised a total of £517 for our residents funds and we are hoping that this year is just as successful. Come along and join us for another fantastic day. There will be entertainment from the local Ukulele band, an outdoor bar and BBQ area, a variety of stalls and much much more, offering something for everyone. One of our members of staff has volunteered to have her head shaved on the day. As we are not a charity we cannot accept any sponsors but any donations you would like to make on the day are at your own discretion. In support of the macmillan ‘Brave The Shave’ campaign we will also be making a donation to macmillan cancer research from the donations we raise on the day. The garden will be open from 1:30pm onward and parking onsite is free of charge. We will also be having a visit from the Mayor and his wife from around 2pm.